For the Glory of God, we commit ourselves to Evangelize and Enlist people into our fellowship, to Edify and Equip them for spiritual maturity and service, and to Exalt God together in worship. GCF is one church reaching influencers through satellites in strategic areas worldwide. 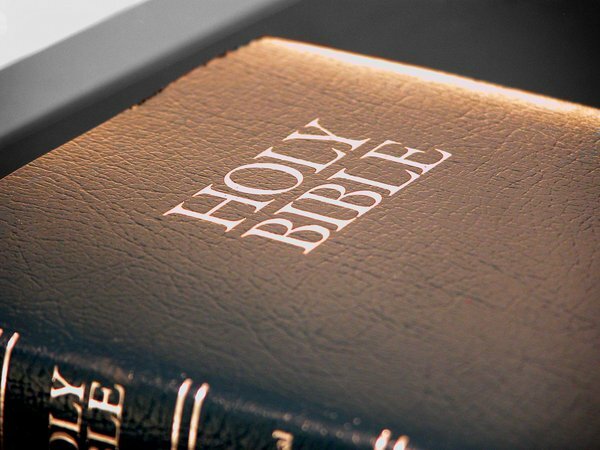 The Bible is the inspired Word of God written without error, so it is our only sure source of knowledge about God and His plans, and is our absolute guide for doctrinal teaching and godly living (2 Timothy 3:16-17; 2 Peter 1: 20-21). We worship and serve the only One True God who revealed Himself in the Bible as three persons sharing one indivisible essence in the mystery of the Trinity, God the Father, God the Son, and God the Holy Spirit (Deuteronomy 6:4; Matthew 28:19-20). Jesus Christ is the unique Son of God, being fully God and fully man. He was conceived of the Holy Spirit, born of the virgin Mary, lived a sinless life but suffered and died in the place of sinful man, was buried and resurrected ascended bodily into heaven, and is preparing to return bodily in glory to earth a second time (John 1:1-14; 14:1-3; I Corinthians 15:3-6; Philippians 2:5-11). The Holy Spirit is God who is actively at work in the world. He dwells permanently in every Christian, helps us to pray, equips and empowers us to serve God, strengthens and molds us to be more like Christ, and protects us to guarantee our eternal life (Acts 5:3-4; Romans 8:14-16,26). Angels are the innumerable and unseen creatures who serve the causes of God and His people. Satan and demons are fallen angels who promote wickedness and oppose God’s purposes, doomed and awaiting their final judgment (Isaiah 14:12-17; Hebrews 1:6-14). God created man, male and female, in His image. Man was originally sinless but through Adam, all mankind sinned, became condemned, separated from God, and rendered totally unable to gain God’s favor of forgiveness and eternal life (Genesis 1:26-27; Romans 5:12-14). Salvation is God’s act of forgiving sins, reconciling people to Himself, and giving a new nature and eternal life to those who put their trust in the finished work of Jesus Christ. Salvation is not a reward for good works but a free gift of God received by grace through faith in Christ alone and secured eternally by the indwelling presence of the Holy Spirit. (Ephesians 1:13-14; 2:1-10; I John 5:11-13). The Church is the universal Body of Christ consisting of all born again Christians united by the indwelling Holy Spirit. A member of a local church must have undergone baptism by immersion, participate in Communion, and help fulfill the church mission to make disciples of all nations (Matthew 28:18-20; Acts 2:41; I Corinthians 11:17-34; 12:13). Jesus Christ will come again to reign on earth and to reward God’s people with life with Him forever in the new heaven and earth and to judge unbelievers with eternal separation from God and suffering in hell (Revelation 20:1-4;21:6-8). We uphold the separation of the church and state and we affirm the Christian duty to honor and to pray for those in government authority, to pay taxes and to promote the general welfare of society. (Romans 13:1-7; I Timothy 2:1-2). God instituted marriage (Genesis 2:23-24; Matthew 19:4-6) and the family (Ephesians 6;1-2; Colossians 3:20-21) as the basis elements on which society is built. The GCF ethos is the characteristic spirit of the community of believers in GCF York, as manifested by its aspiration to know Christ and make Him known through excellence in life and service by God’s enabling grace and for His glory. For easy recall, the acronym G.R.E.E.N.H.I.L.L.S. is used to describe the 10 attributes of GCF church life in which satisfactory results are essential to ensure the health of GCF Peel. The focus is not on numerical growth, but on improving the health of the satellite, with the understanding that when a satellite is sufficiently healthy, numerical growth will follow.